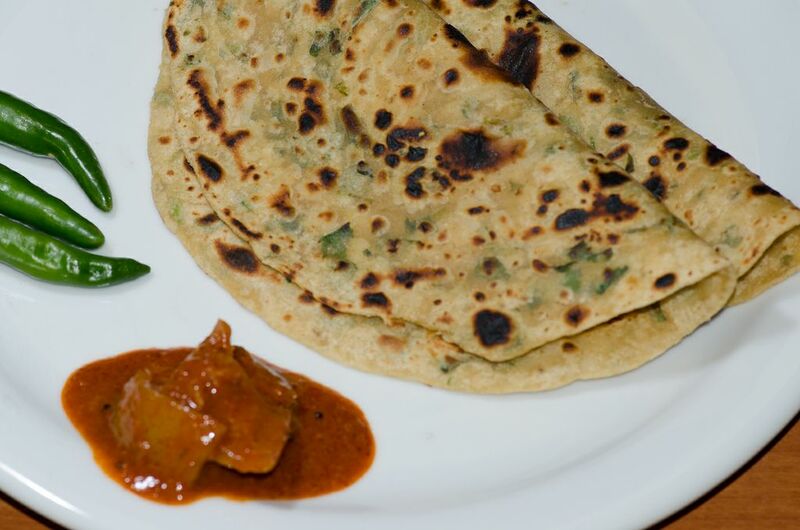 Parathas would make a great start for the day. Mum would make parathas of all types – aloo, methi, cabbage, radish, and paneer. Finely chop the green chilies and crush them along with jeera. Add the same to the flour. Add salt. Make the dough by adding water little by little. Knead it well by applying some oil. Leave is covered for about 30 minutes. Roll it into thick parathas. Shallow fry on both sides with oil or butter. Serve hot with any curry or pickle. This entry was posted in Parathas, Vegetarian and tagged breakfast, methi, methi paratha, vegetarian. Bookmark the permalink. I love parathas. Haven’t made any in ages. You’ve inspired me.